First of all, we’d like to thank you for the great start we’ve had to our campaign. Thank you for your feedback and your continued support! We are especially excited by many of the new product ideas that we’ve received from the crowd. We already had some of these niches on our radar, while others are new to us and will be further investigated. With a total revenue (prior to returns) of € 2,416,342.71, we were able exceed the financial plan’s revenue prognosis for 2016. In total, we had 697,586 unique visits to our website last year. We’re especially pleased with developments regarding our B2B efforts and our individual brand sales to our business partners. Currently, we’re able to count over 200 returning customers that regularly order our products or brands. We were able to significantly increase the visibility of our online shop in Google’s organic search results. Our first online shop in the United Kingdom – www.planters-online.co.uk – increased this value by a total of 62% over the past few weeks. This resulted in a significant reduction to our marketing costs: our entire budget for our google AdWords campaign is 70% below the point where it was in comparison to last year. This constitutes the basis for reaching profitability in 2017, and at the moment we’re right on track to achieve this goal. Our equity-based crowdfunding campaign has garnered much interest in the media, and during the first days of the campaign, we received numerous requests for interviews and partnerships. We will continue to build off of the success of this campaign in order to expand our network and promote our brands and online shop. 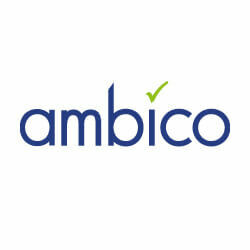 The combined revenue of all of our ambico shops for January is currently 7% ahead of the figures laid out in our plan, which can surely be attributed to our Companisto campaign.